Washington Post journalist Craig Timberg hosts a conversation about AIDS in Africa, along with a mix of lighter stuff about African music, wine, politics, journalism and other things on his mind. Please join me by hitting the word "Comments" at the end of any item. I am listening you interview on NPR. It is amazing to see how you passionately try to convince that HIV is from Africa. If HIV is not a disease, it would be tracked to "May flower" ship or somewhere out of Africa. It is not also from Homosexuals in Africa, not from Homos in Western, right! what a fair assessment. Bravo work! 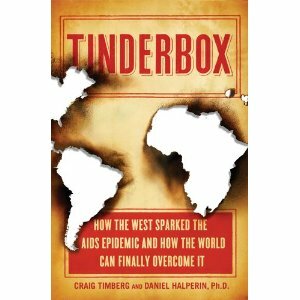 A great elucidation of how AIDS was born when African's and the West's lifestyle's collided. I appreciate the depth of your research, and vast analysis of how you derived to this piece. Many views as to where the virus originated have floated around for decades, but your profound work was the most credible in my view. Q&A on AIDS in D.C.
"28," Stephanie Nolen's excellent, close-up look at how Africans are living with AIDS, and fighting it too. It'll break your heart. The unbeatable Oliver "Tuku" Mtukudzi, singing one of his most famous songs "Todii." Soulful South African singer/guitarist Vusi Mahlasela. Very Belated Reaction by U.N.